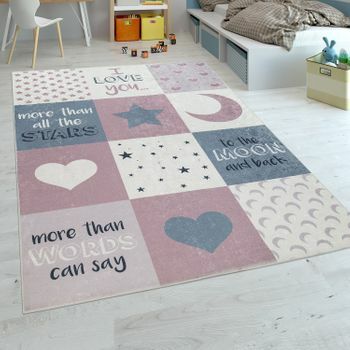 Twinkle, twinkle, little star. 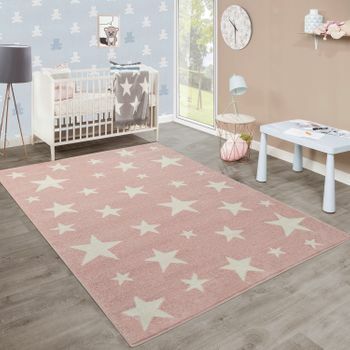 Counting the stars together is a particularly special treat with this delightful childrens rug in soft pink. 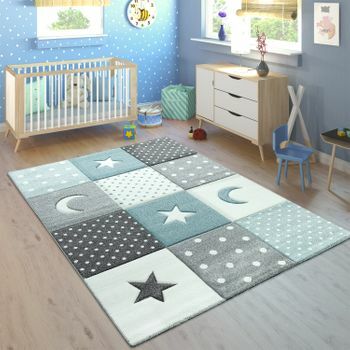 Perhaps your child will find his or her own special star on this soft and cosy rug, who will keep watch while he or she is playing or sing a sweet lullaby at night. 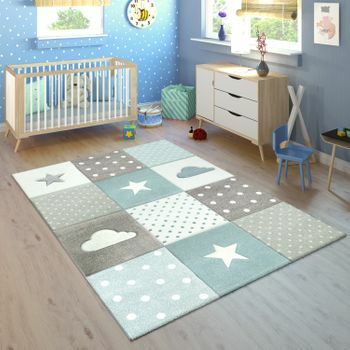 The gentle pastel colours will be a sure-fire hit with your little ones, but also have a harmonious and soothing effect. 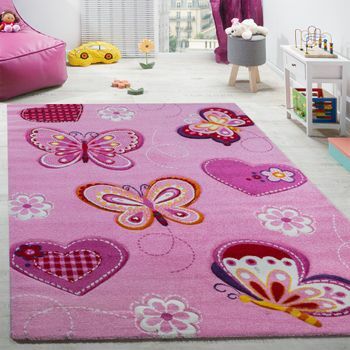 The child-friendly design exudes cheerfulness without any hint of kitsch. 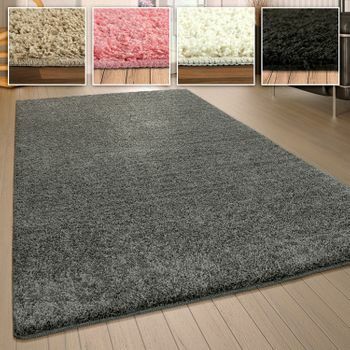 The velvety short-pile rug is made from 100% polypropylene and is suitable for romping around as well as cuddles. 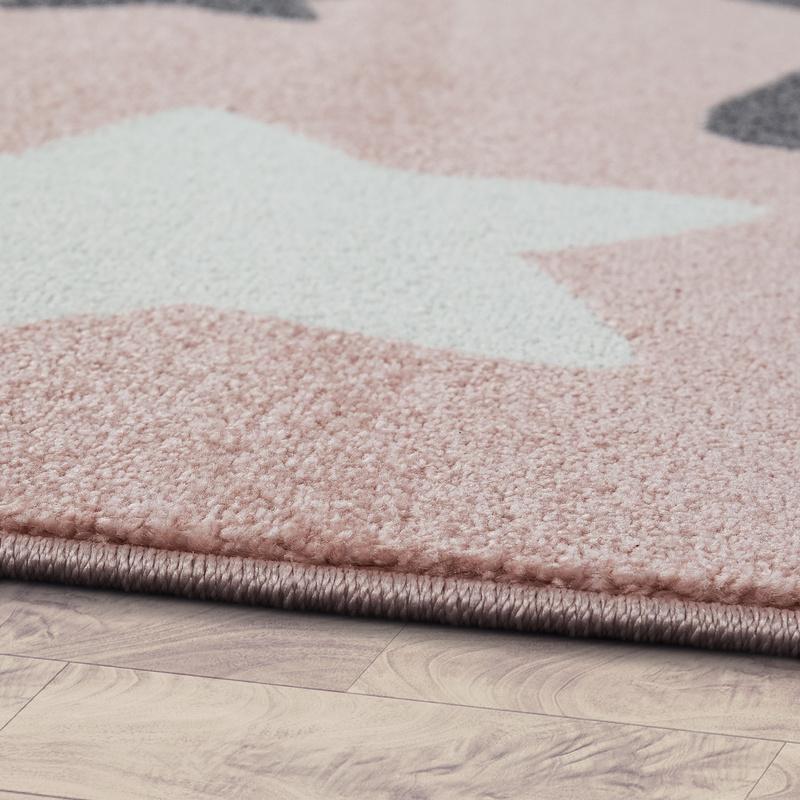 It is low-maintenance and dirt-resistant enough to take everything in its stride, so that mum and dad can sit back and enjoy the natural exuberance of their little monsters. 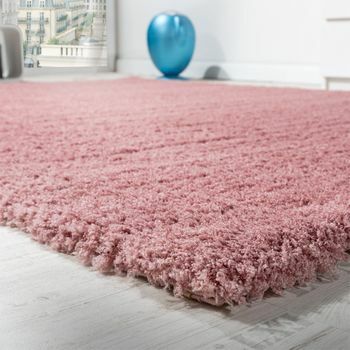 Another reason to relax  the pretty frisé rug is certified to Oeko-Tex Standard 100, meaning that it is guaranteed to be free of harmful substances. 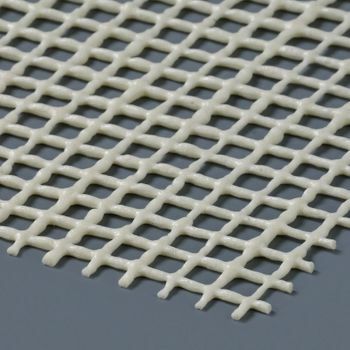 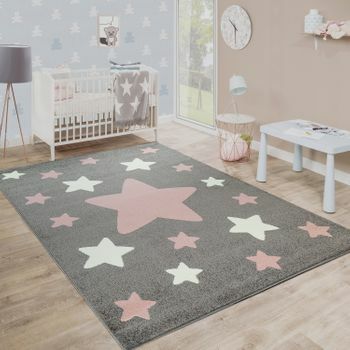 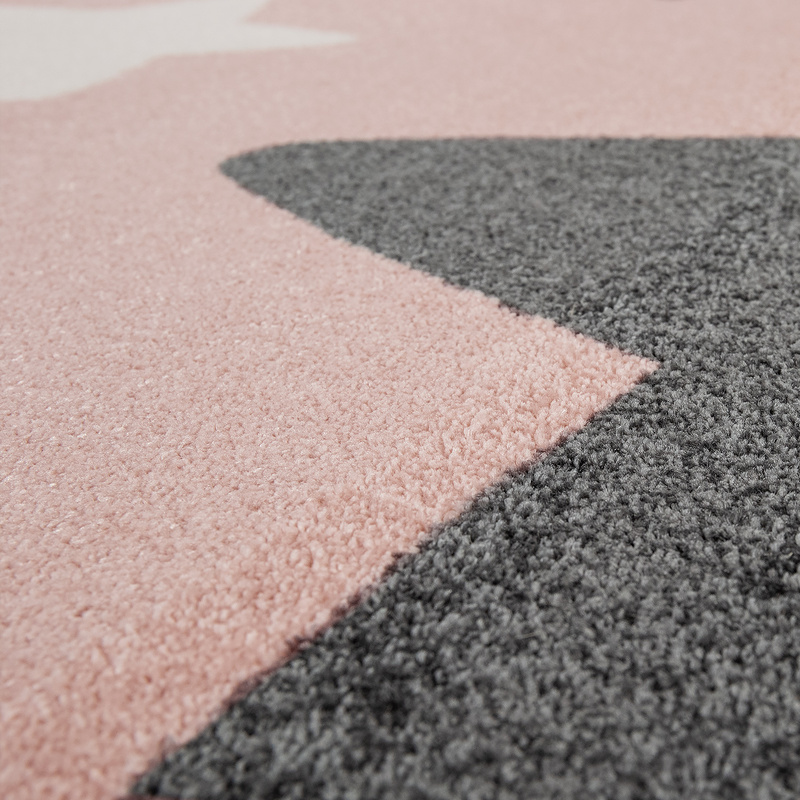 This play rug with stars scattered all over it has a pile height of 9 millimetres and a weight of 2,300 grams per square metre and is suitable for use with underfloor heating. 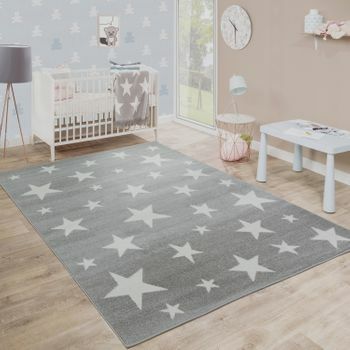 Our tip: Star motifs make an eye-catching feature in childrens bedrooms, and turn any room into a cosy haven of tranquillity for even the tiniest of tots. 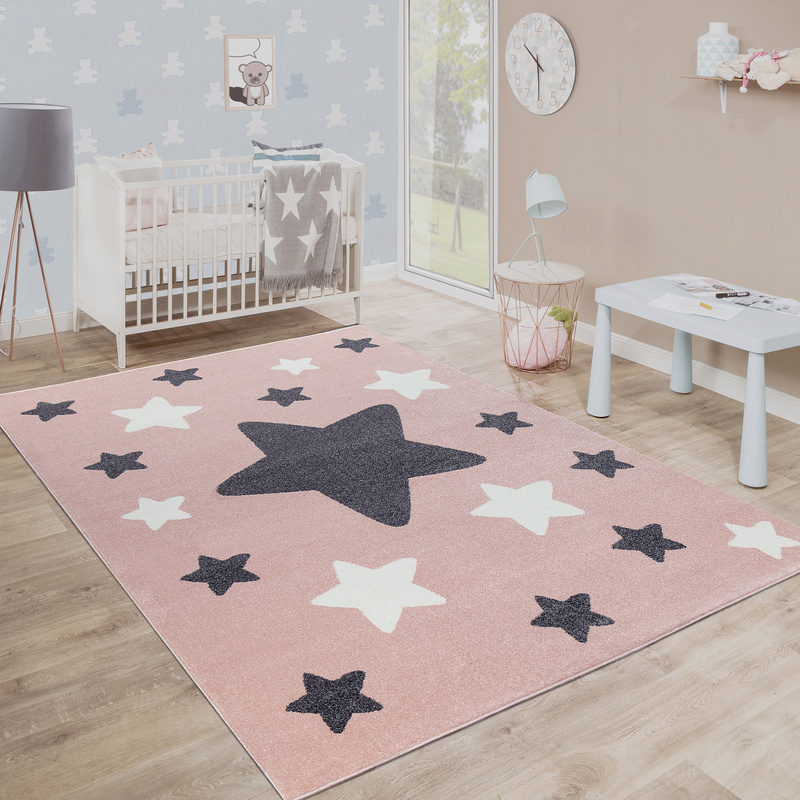 Matching bed linen featuring a star pattern adds the perfect finishing touch  for undisturbed sleep and sweet dreams, night after night!